The Worcester Police Department was called to the scene of a personal injury accident around 11:00 pm on Saturday, June 16th. On duty officers quickly arrived just after receiving the call for assistance. Upon their arrival to the 300 block of Mill Street, they observed a multiple vehicle crash with personal injuries involved to the affected drivers. The officers then called for an ambulance to provide treatment on scene. Treatment was administered to those injured. Worcester Police secured the accident scene and conducted an investigation before clearing the scene of debris. Traffic flow around the accident quickly resumed to normal. There is no word on the severity or extent of injuries suffered. The crash remains under investigation at this time. 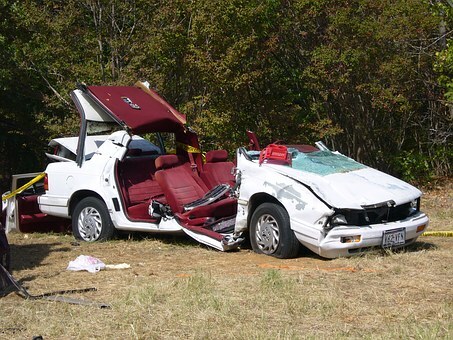 If you’ve been hurt in a collision, you need to seek help of an injury attorney. Collisions happen daily across Boston and surrounding areas. They can leave you in a world of hurt, both literally and figuratively. You are facing high medical costs, forced time off work, and are dealing with recovery from painful injuries, which can be quite long-lasting and severe. The insurance company representative will call you right after the accident. If you are in an accident that is relatively minor with personal injuries and just property damage, you can probably handle the case yourself. However, if you have been injured at all you should absolutely not speak with an adjuster until you have spoken first with a good injury attorney. At the Law Offices of Jeffrey S. Glassman, we focus our practice on personal injury and have experience in accidents involving all types of vehicles and circumstances. Our team of attorneys knows how to help if you have been injured in an accident which was not your fault. Our team is specially trained to help you and will identify all legal issues which can affect your situation. We work on a contingency fee basis which means we recover nothing unless you also recover. There is absolutely no obligation on your part. You have nothing to lose if we take your case. If you would like to speak with someone about your Massachusetts personal injury claim today, please give us a call at 617-367-2900. The call is free and we would love to hear from you. We are always open.